GAMDIAS use a rich nomenclature for their products based on Greek Mythology, setting the tone and theme for each product they release. It had been a while since our last outing with the Hephaestus headset, so we were happy to see them return with the HEBE M1 RGB headset. The HEBE M1 RGB is priced directly in ground-zero of mid-range headsets, and so comes with a host of competitive features, including 50mm drivers, RGB lighting, and virtual 7.1 surround. 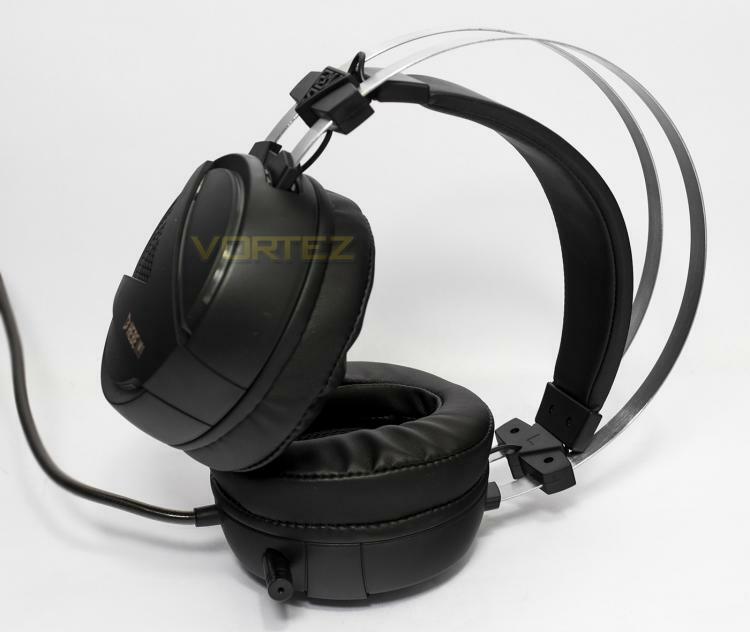 The design is pretty much a Siberia clone, featuring a suspension style headband and a large metal frame, however, inside its huge earcups, GAMDIAS have placed 30mm vibration units to deliver a bass impact/rumble effect to provide gamers with an extra-dimension to their immersive gaming experience. There was a similar feature found on the Hephaestus headset, which also had a '3D Blast-Indicator', which was effectively directional vibration, and in theory, it was a feature that we somewhat enjoyed, however, it was also something that seemed to introduce some problems, so we are looking forward to seeing how the 'Bass-Impact' has developed.